Take a look at one of our shows! Dysfunction and chaos at its best! Just like a real wedding, but cheaper. You don’t need to bring a gift. Laugh Out Loud Productions has some exciting guests coming up on Tree house Talks! The weather will be getting warmer and we can’t wait to get back in the tree! I had a great time interviewing Rhonda Hansome on Tree House Talks back in November. We were actually up a tree in my backyard. 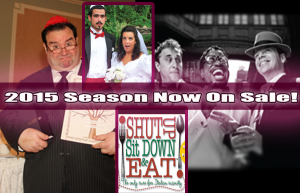 Chris Monty, Stand-up, actor and also seen on the Laugh Out Loud Productions stage in “Shut Up Sit Down and Eat” has recently been cast in an HBO series. The hilarious new show, “Vinyl” starts in January 2016. Wow! Just got back from a cruise to Bermuda. Great time on Norwegian, BUT way too much food and alcohol. Cruises can definitely turn you into an obese alcoholic. Still fun though. Treadmill, here I come! Laugh Out Loud Productions is looking for new scripts for 2016. If you are a writer and consider yourself funny, please send us a sample. Smaller casts preferred, interactive style is a plus. Do you need therapy? How about Italian therapy? 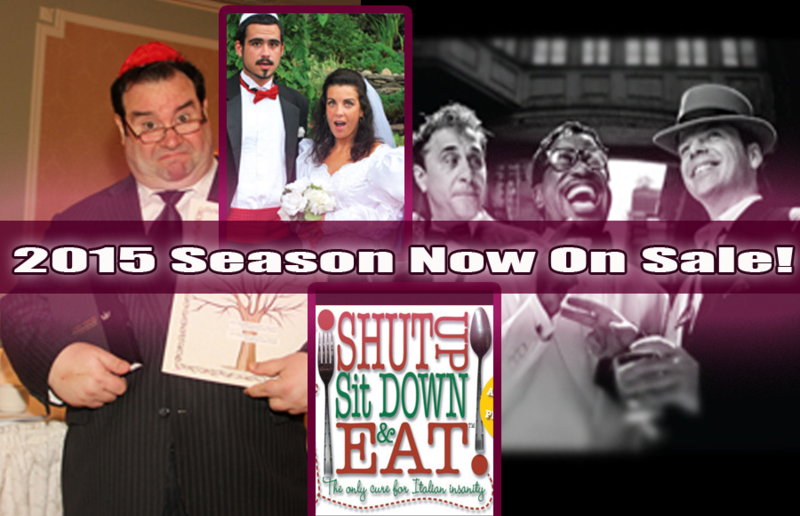 The hit off-Broadway comedy, “Shut Up Sit Down & Eat will be at The Bethwood, in Totowa, NJ on October 8th. When a therapist fails to arrive on time for a group therapy session, four impatient Italian-Americans take their issues into their own hands and invent a new type of therapy – Italian therapy! Come join us for a unique event filled with hilarious dysfunction – Italian Style! Click Here to see an interview with the cast.